How and why did virginity come to play such a crucial part in the Christian Church in the formative and defining period of Late Antiquity? 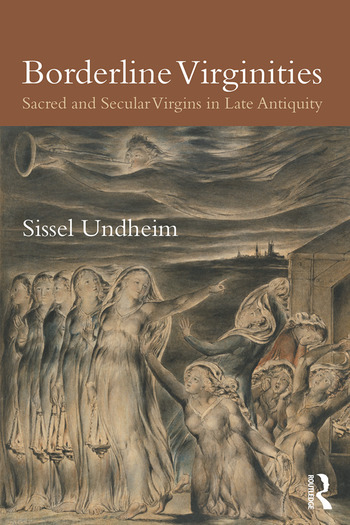 Sissel Undheim analyzes the negotiations over what constituted virginity and assesses its socio-religious value in fourth-century Rome by looking at those at the very margins of virginity and non-virginity. The Church Fathers’ efforts to demarcate an exclusively Christian virginity, in contrast to the ‘false virgins’ of their pagan adversaries, displays a tension that, it is argued, played a larger role in the construction of a specifically Christian sacred virginity than previous studies have acknowledged. Late fourth-century Christian theologians’ persistent appraisals of sacred virgins paved the way for a wide variety of virgins that often challenged the stereotype of the unmarried female virgin. The sources abound with seemingly paradoxical virgins, such as widow virgins, married virgins, virgin mothers, infant virgins, old virgins, heretical virgins, pagan virgins, male virgins, false virgins and fallen virgins. Through examining these kinds of ‘borderline virgins’ as they appear in a range of textual sources from varied genres, Undheim demonstrates how physical, cultural and cognitive boundaries of virginity were contested, drawn and redrawn in the fourth and early fifth centuries in the Latin West. 2. Roman virginities. Between rhetorics, ideals and "reality"
Sissel Undheim is Associate Professor of Religious Studies at the University of Bergen, Norway. Her academic work focuses on sacred virginity in antiquity and Late Antiquity, and she has published various articles on this topic, as well as on New Age religion and the didactics of religion. She has edited a collection of translated texts on Roman religion for the Norwegian series Verdens Hellige Skrifter (Sacred Texts of the World).